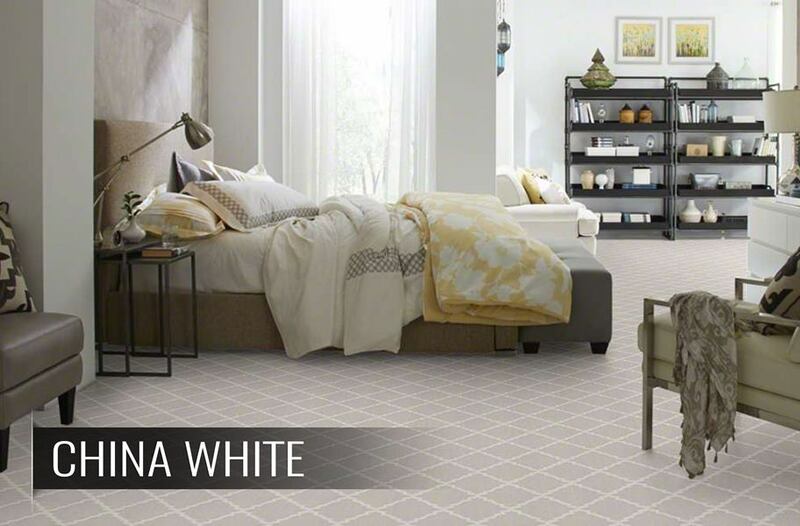 Keep your home up-to-date starting with your floor. Use this guide to the hottest 2019 carpet trends and find durable, stylish carpet ideas that will stay trendy for years to come. So if wood looks are all the rage right now, does that mean carpet is dead? I mean, to be honest, all of us here in the flooring world have been wondering. 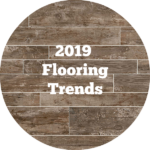 Flooring is going through somewhat of a revolution and manufacturers either have to evolve or risk getting left behind. For the last couple of years, carpet has felt like our favorite TV show, leaving us on a cliffhanger and OMG what if this is the last season?! But, in 2019 I think we’ve got an answer. Carpet is like all your favorite Shonda Rhimes series. It will go on for many more seasons and, let’s be honest, probably never end. They will just keep adding new characters, drawing you into new and exciting twists you never saw coming. So, it’s 2019. There is somehow an iPhone 10 (even though there was never an iPhone 9…) that can recognize your face and let you into your phone. People are 3D printing entire organs. And there are internet tools that allow you to travel to Australia for $200 roundtrip from LA. Basically, technology is booming. Big time. But what does that have to do with carpet trends? Well, the flooring world is going through its own technological surge. It started with hard surface floors and the incredible visuals they have been able to create using laminate, vinyl and even tile to mimic natural materials. Now, carpet is not going to look like hardwood or natural stone. Umm, that would look really weird. But! 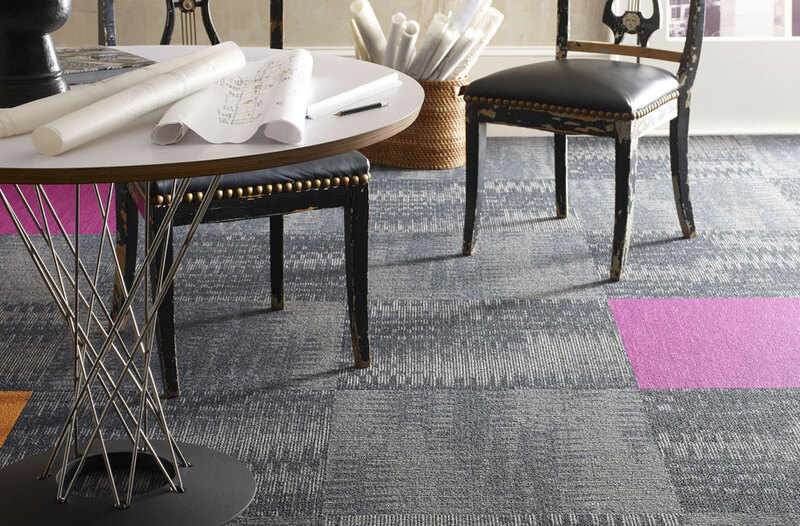 Carpet manufacturers are using technology to their advantage creating never-before-seen patterns and jaw-dropping new features. Hint: They can make carpet now that is 100% waterproof! So, hang on tight. 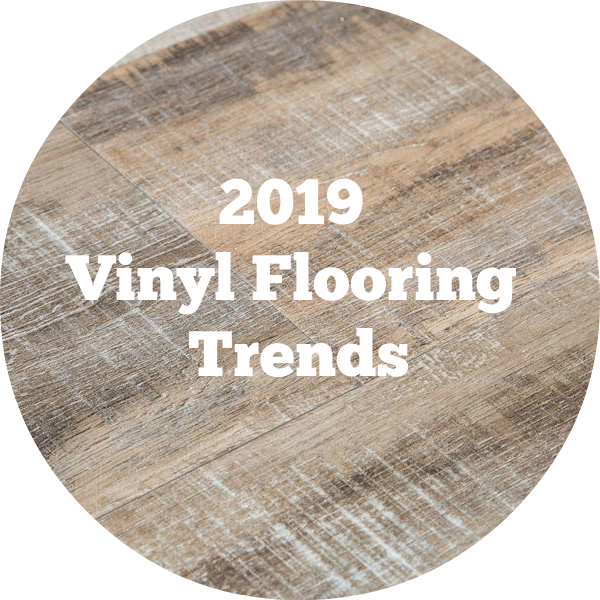 The 2019 carpet trends are filled with some incredible ideas, looks, textures and more. Here are the hot carpet trends for 2019. You guys, you guys, you guys!! Yes with 2 exclamation points because I am so excited to tell you about waterproof carpet. Will the waterproof carpet trend last in 2020 and beyond? Yes. If you ask me, this is the best carpet trend for 2019. But it will be a slow surge. The thing is, this technology is so new that the floors still come with a bit of a price tag (although, it’s nothing compared to solid hardwood). As technologies advance and more manufacturers jump on board, pricing will get more competitive and then waterproof carpet will totally take off. For now, I say, if you can afford it, jump on board! The recycled flooring trend is hot all around this year. Carpet just happens to be at the forefront of the environmentally responsible flooring movement. We’ve reached a time where the young homeowner demographic is comprised, primarily, of millennials. And not to pigeonhole an entire demographic, but as a group, millennials tend to care a lot about the brands they purchase from and how their purchases impact society, the environment and more. Will the recycled carpet trend last in 2020 and beyond? If there were ever a sure thing in the world of trends, this would be it. 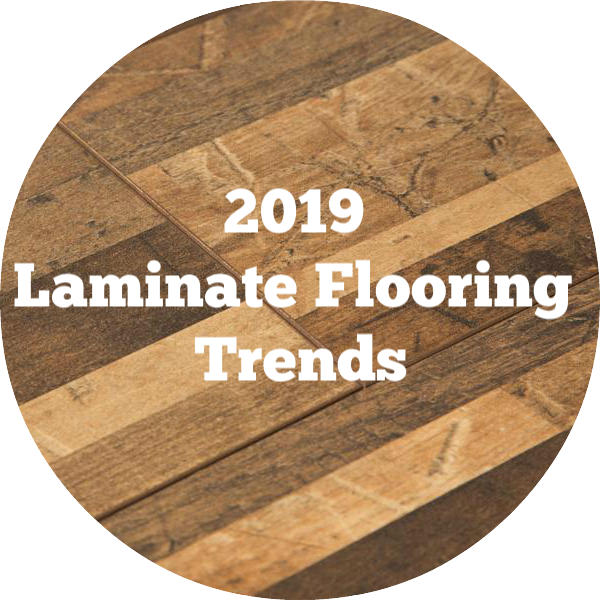 I predict consumers will only demand more recycled materials and environmentally responsible flooring options for the next several decades. So much so that just putting an eco-friendly floor in your home could increase the resale value and reduce time on the market. Cut and loop is exactly what it sounds like: carpet that combines the construction of both cut and loop carpets. You can see below, the cut carpets look like loops that have just been cut in half. When you combine cuts and loops, you are able to create unique, stylish patterns and textures. You’ve probably seen this a lot in rugs. When you run your hand along the rug and you can feel the contrasting textures? That is usually cut and loop carpeting. Patterns are super in right now across all floor types and these cut and loop patterned carpets have been going strong for several years now. While it’s not typically a whole home look, they are great for rugs and areas where you want to make more of a statement. Will the cut and loop carpet trend last in 2020 and beyond? Sparingly. I think cut and loop area rugs will stay popular, but I don’t anticipate homeowners trending towards using cut and loop carpet to cover larger spaces. Frieze is also known as “twist” carpet and it refers to carpet where each piece of the carpet is twisted many times, making it look almost curly. You know when you sleep with your hair in a braid and then it has it’s kinda wavy the next day? That’s how frieze carpet looks. They say trends tend to recycle themselves every 30 years or so. Remember how 5-10 years ago every clothing store looked like the ‘80s called and wanted their wardrobe back? Well, do you remember the 1970s shag carpet? I mean, how could you forget! Now, the 70’s called. They don’t want their shag rugs back because they were actually not very cute. Will the frieze carpet trend last in 2020 and beyond? Okay, so the frieze carpets look a lot nicer than old-school shag carpets. However, the trend didn’t last the first time. I don’t foresee it lasting very long this time. Carpet is notorious for being bulky, cumbersome and nearly impossible to replace. 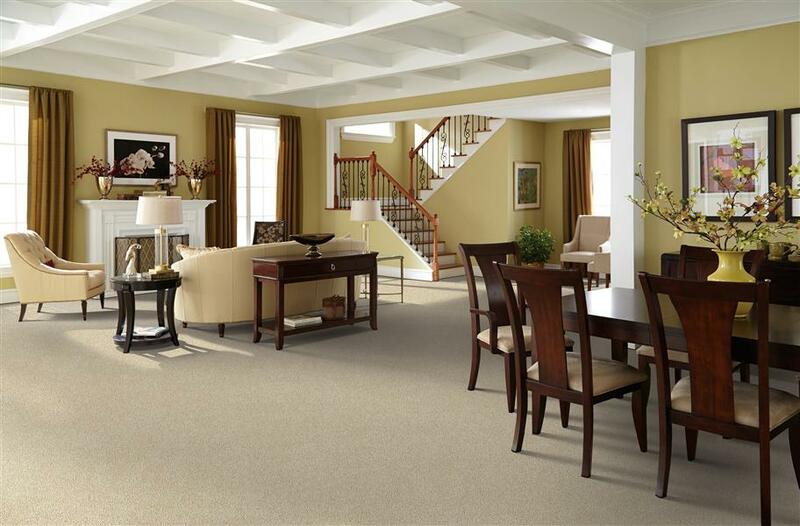 With broadloom carpet, if you damage or stain just one small area, you typically have the replace the entire thing. It is the worst. Carpet tiles have changed all that! Gosh, we love them so much it’s hard not to sound like an infomercial. But they’re just so…mellow? Easy? Yes and yes. One main advantage to carpet tiles is that they’re wonderful for families and pets. One spot gets damaged? No problem! Simply take out that one tile and replace it with a new one. The days of replacing your entire floor are over. In fact, carpet tiles are the biggest carpet trend for basements, in particular. Many come with waterproof options and they are perfect for temperamental, water-prone basements. Carpet tiles also give you the ability to install your carpet yourself, especially with peel and stick options. Not to mention, the options for patterns and colors are endless! You’ll see everything from checkered floors to intricate patterns and more. If you love choices, carpet tiles are for you. Related content >> Why Choose Carpet Tiles? 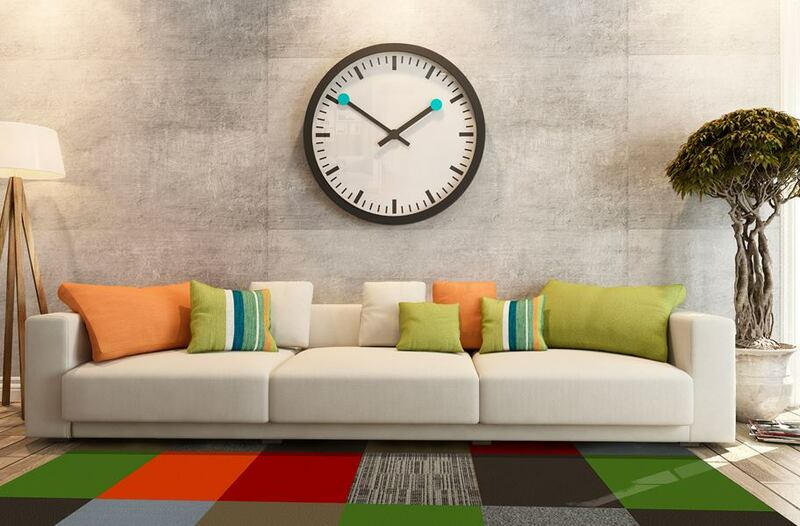 Will the carpet tile trend last in 2020 and beyond? Absolutely, especially with families. I expect to see carpet tiles continue to grow from being primarily a commercial carpet trend to becoming a popular interior carpet trend today in everyday homes. This makes so much sense. The two main challenges with area rugs are that designs are limited and it’s challenging to figure out the right sizing for your space. With carpet tiles, you can create your dream area rug and create a custom size to fit your space perfectly. Also, they often end up being less expensive than traditional area rugs. All of the winning! With the rise of DIY home projects, carpet tile rugs are especially timely right now. They’ll be the most popular with younger homeowners looking to take a bigger part in creating their own style and decor. Will the carpet tile rug trend last in 2020 and beyond? Definitely. Area rugs are going to be really big over at least the next decade. The trend toward using carpet tiles to create your own design will only continue to grow. Taking originality and control one step further, the hottest area rug trend in 2019 will be specially crafted handmade rugs. I mean, how can those not take off?! I spoke earlier about homeowners wanting to know where their floor comes from, needing to believe in the source. Purchasing a handmade piece, it makes things personal. It’s almost like building a personal relationship with the person who creates it. Like when you buy something made just for you on Etsy and it comes with that cute little note about how they appreciate you. Except, on, like, a much higher level. Because they made a rug by hand; they didn’t just print your favorite inside joke on a couple of wine glasses. Creative, artistic and personal, handmade area rugs are going to be a splurge for homeowners with a passion for design and individualism. And the rest of us are going to gawk and wish we had them in our homes, too. Will the handmade area rug trend last in 2020 and beyond? Well, yes. But, the thing is, having anything handcrafted specifically for you is really expensive. This is just not the type of thing everyone can afford. What I anticipate is that manufacturers will work to replicate these handmade looks to appeal to the masses in a price range that is more accessible. Well, if you haven’t caught on by now, area rugs and carpet runners are in. 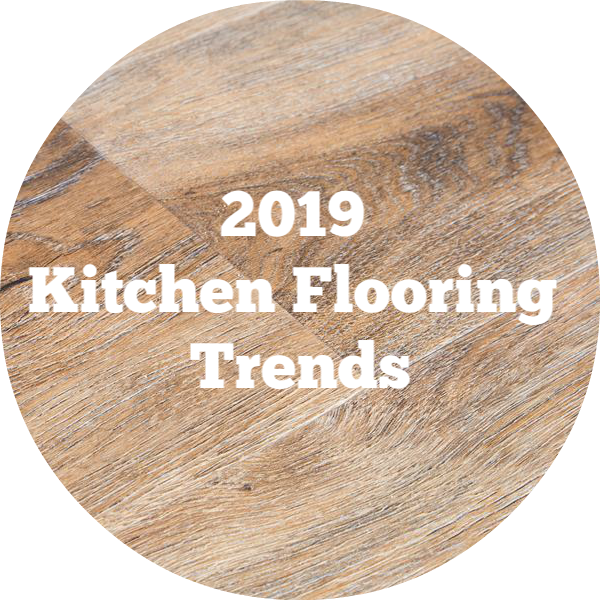 They lost some steam for a while there, but lately, with the huge surge in hard surfaces, homeowners are beginning to realize they miss that extra coziness and comfort that only carpet can provide. Additionally, the trend towards bold colors and patterns could easily turn tacky with wall-to-wall carpet. These statement pieces tend to do best in smaller doses. I mean, you do not need a home where the entire floor looks like a giant rainbow. Or, maybe you do? But, it won’t be trendy. Sorry. Anyway, that’s what’s great about area rugs and carpet runners. You can strategically use those bright, bold color and patterned carpet trends in one statement piece, rather than an entire carpet. Also, in 2019, you will see some homeowners use area rugs over carpet to give that popular layered look. More on that later. Will the area rug and carpet runner trend last in 2020 and beyond? Without a doubt! I know they can be pricey, but seriously, do yourself a favor and get a gorgeous, stylish area rug to fill that blank space in your family room. 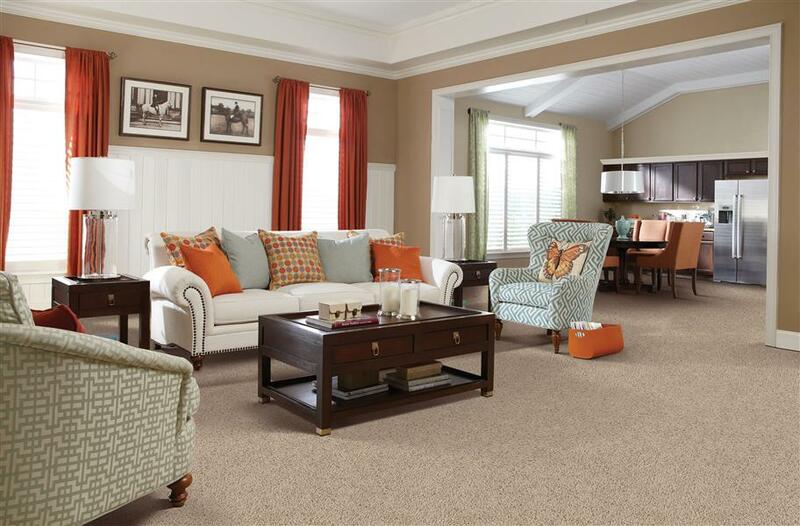 Carpet color trends are completely different than any other surface. The hard surfaces are all about extremes with a few middle-of-the-road option that are trending warmer. Trends in carpet colors are the opposite. Bright, bold colors. Cool, subdued blues. And everything gray. From light gray carpets to dark gray carpets, let’s just say: gray is in. Homeowners are trending towards statement colors with their carpet. Since carpet is not typically a whole-house flooring these days, you have the ability to make a statement. This is especially true with are rugs. Although, at one time, flooring was intended to be a neutral backdrop for the rest of your space, homeowners, particularly younger demographics, are turning that idea on its head exploring the idea incorporating carpet into their design rather than designing around it. Will the bold carpet trend last in 2020 and beyond? Yes and no. 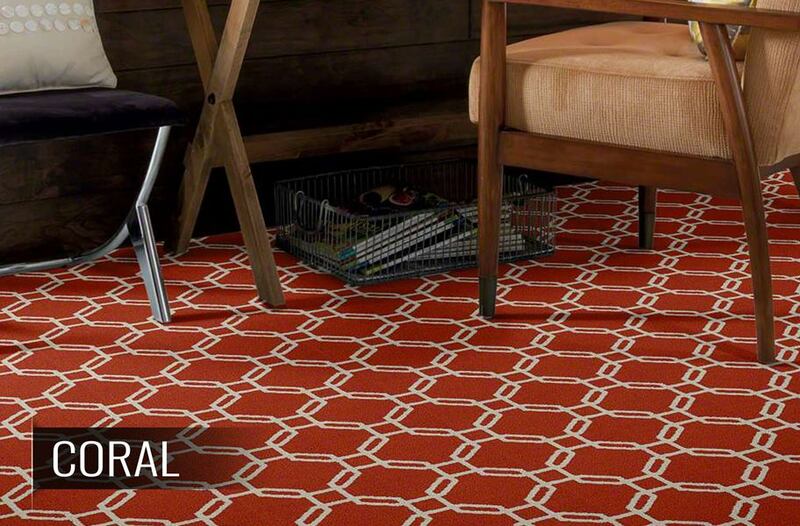 In area rugs and other small, statement places, this carpet design trend will thrive! But as a modern wall to wall carpet trend? Don’t count on it. Is there any color more calming and serene than blue? Adding a touch of color without overwhelming the space, cool blue carpets are a color trend I can stand behind. While the bright, bold colors can make a beautiful, strong statement, they can also be a lot to work with if you’re not a designer. Or, even if you are. 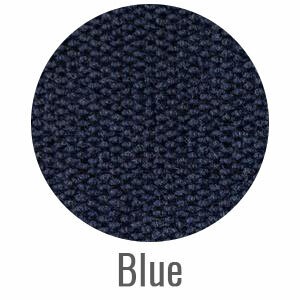 Blue is a nice transition out of the norm of neutral carpets with enough subtlety to appeal to multiple demographics. It works perfectly with trending gray decor and is neutral enough to not pigeonhole you into one design concept. Will the blue carpet trend last in 2020 and beyond? Yes, particularly blues with a hint of gray. However, for a wider appeal and easier resale, I would still recommend going gray instead. While most people think of the gray flooring trend in gray wood and wood-look flooring, gray is the super hot in carpet right now, too. Traditional neutral colors like beige are out and gray is the new neutral, adding a gorgeous, contemporary look to any room. Gray has quickly become the most popular trend, not just for flooring, but for homes in general. Gray cabinets, gray doors, you name it. And every shade of gray is still hot and trendy in the home. For your floors and decor. Even better? If you go with gray, when you choose carpet colors, you can literally choose just about any stage and still be in style. 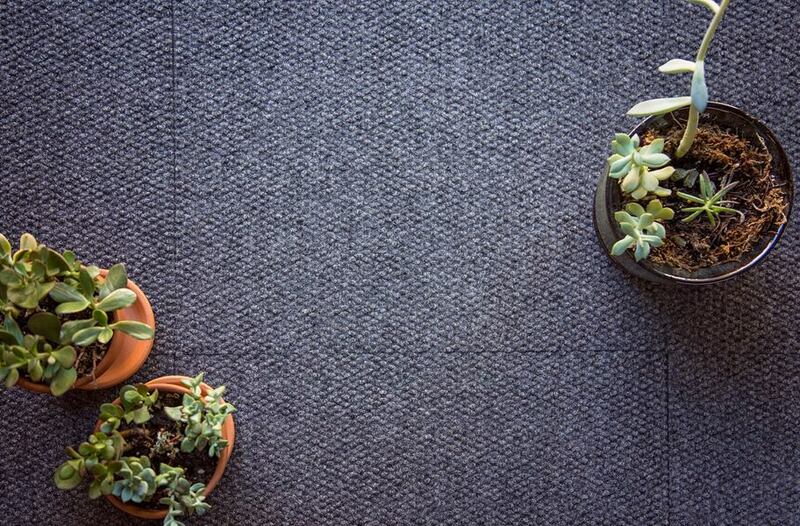 Even once out-of-date dark gray carpeting is making a comeback. In addition to looking chic and trendy, gray carpet sets the tone of a cool, contemporary space. They give you a neutral backdrop for decorating in virtually any color. 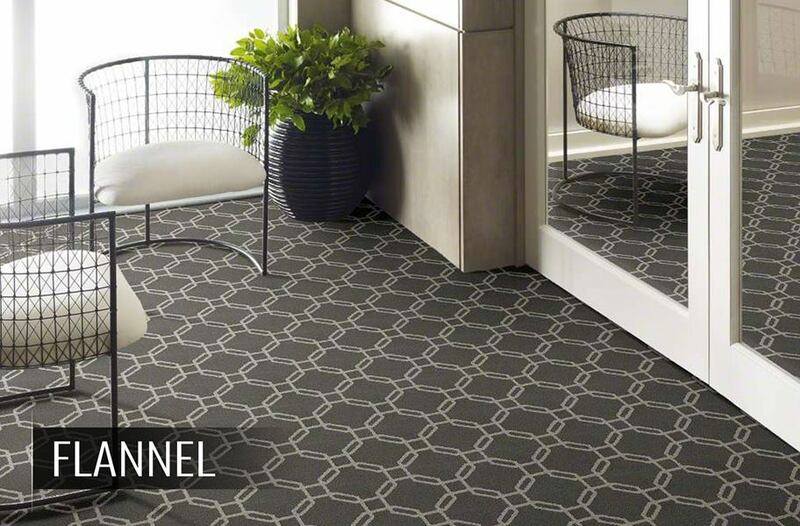 Aquas, greens, bright bold colors or even black and white – they will all go with your sleek gray carpeting. Will the gray carpet trend last in 2020 and beyond? Okay, so this is one of the coolest things happening in the carpet world! 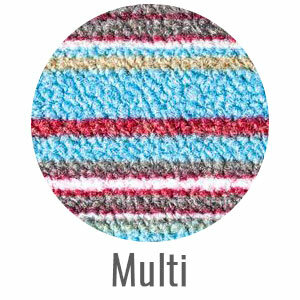 When I say “multi-color”, I don’t mean like rainbow carpets. I mean, the kiddos probably love those, but I’m talking legit luxury carpet trends. The ultra-popular color fading ombre look has expanded from hair into just about every style. In carpet runner trends and area rug trends specifically, you will see bright, bold colors with the ombre effect, something that has only recently become possible. Or, at least only recently started to look good. Will the multi-color and ombre carpet trends last in 2020 and beyond? As a statement piece, you bet! 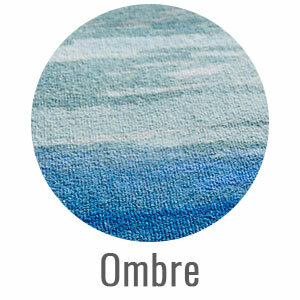 But do not, I repeat, do not do ombre wall to wall carpeting. You’re welcome. When I think of carpet, I imagine soft, cozy, warm and comforting carpet almost enveloping me in like a warm blanket. I’m immediately flooded with memories laying on the floor watching a movie or playing with my siblings when I was younger. The best types of carpet just feel like a family floor. Well, plush carpet does anyway. I still don’t know why trends momentarily shifted away from soft, plush carpets to thin, low-pile carpets. Actually, I probably do. People started to see carpet as high-maintenance with the trapped dust and allergens, along with the need for constant vacuuming. But, the truth is, those low-pile carpets just don’t cut it in the home the way a plush carpet does. That’s why we are seeing a huge surge in carpet buying trends going back to thick, luxurious, plush carpeting. Will the plush carpet trend last in 2020 and beyond? Yes. You’ll see lots of the plush carpet trends in new homes in cool climates. It may become more and less trendy throughout the years, but until they come up with an equally comforting option, this trend ain’t going anywhere for good! While intricate texturing is on the rise in the wood flooring and wood-look flooring world, that doesn’t mean carpet can’t jump on board with new, interesting textures of its own. 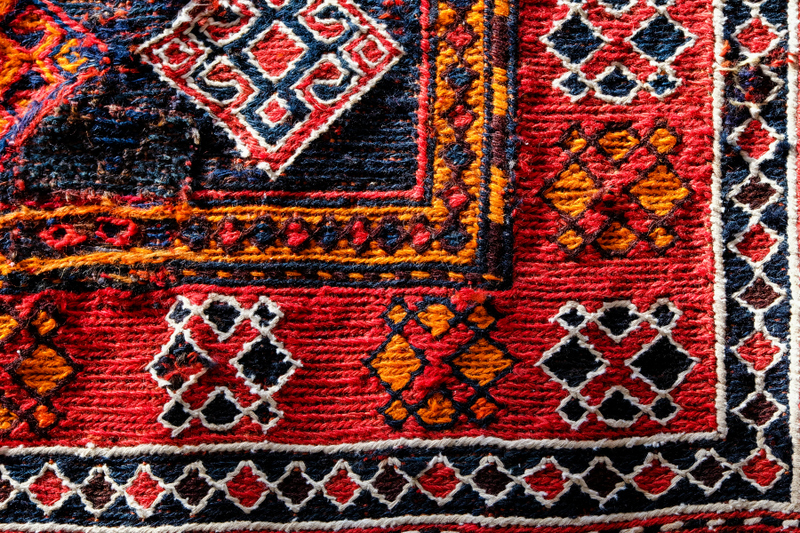 Many contemporary carpets are using textures to create patterns and designs. You’ll see carpet textures creating traditional lines and shapes as well as trending chevron patterns and more randomized looks. In addition to creating these looks, carpet textures provide an interesting feel. Some textures still keep carpet’s warm, comforting appeal. But some favor looks over comfort, which I think is a big mistake. Will the textured carpet trend last in 2020 and beyond? Textures and patterns are sure to stay. However, carpet is all about comfort so carpet lines that favor appearance over comfort will be short-lived. Over the last several years, ribbed carpet has been quite popular in offices. 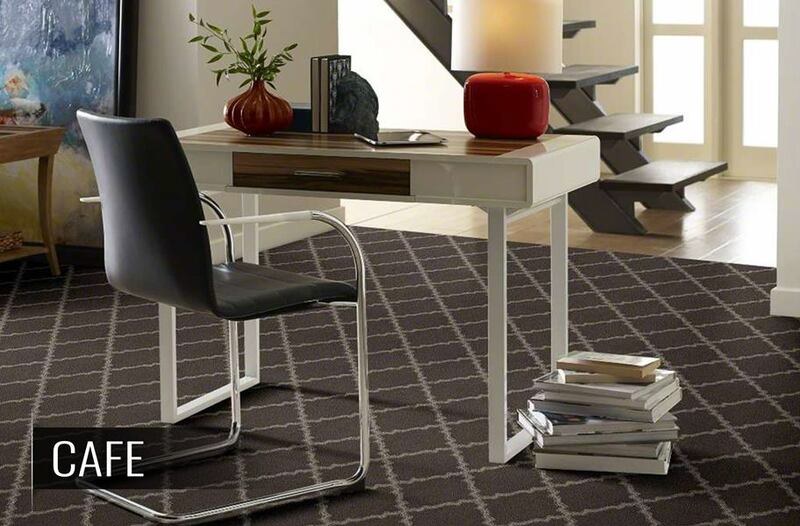 This sleek, clean, modern carpet trend offers an upscale carpet look that is more business and less homey. I would call ribbed carpet tiles more of a commercial carpet trend, but you will also see it used in lots of home offices, closets and more areas around the home in 2019. Will the ribbed carpet trend last in 2020 and beyond? 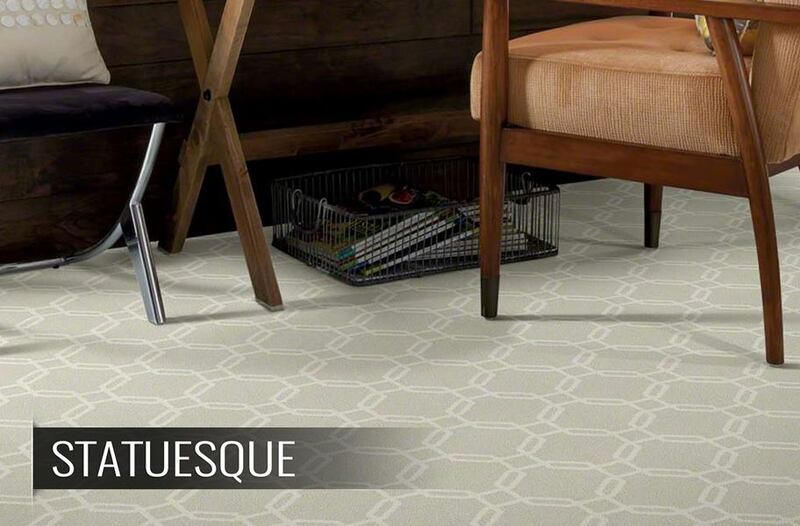 We don’t expect this carpet texture trend to stay around in homes forever, and we anticipate that within the next few years ribbed carpet will be back to more of a business look. In 2019, you will see a combination of solid, traditional carpets with the up-and-coming contemporary carpet patterns in bold, eye-catching designs. While traditional isn’t going anywhere, fun patterns are becoming increasingly popular, particularly among young homeowners. 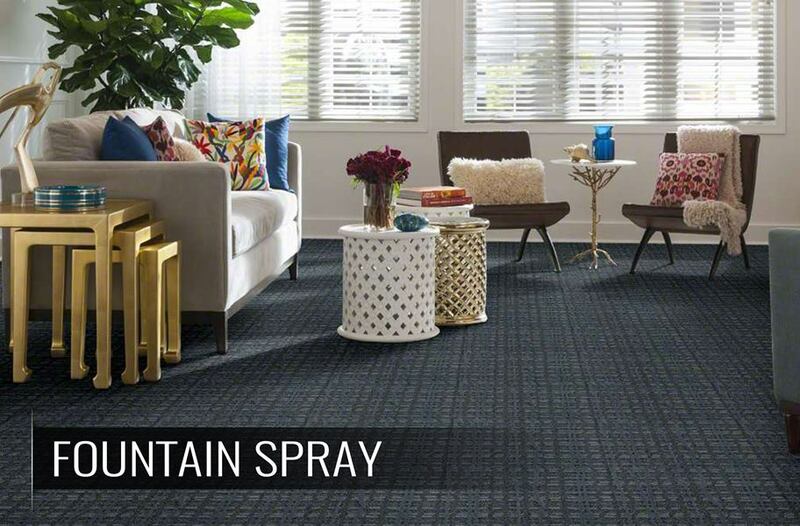 The days of boring broadloom carpets are over. One of the biggest carpet industry trends is modern patterned carpet. Moroccan trellis designs, reminiscent of the also trending arabesque tiles, will be one of the hottest trends this year, I also anticipate plenty of hexagon carpets and even some new, creative patterned wall to wall carpeting. Will the geometric carpet trend last in 2020 and beyond? Well, we don’t see any reason why the more subtle, classy patterns can’t stay current. Big, bold patterns, however, will likely go out of style in the next 5-10 years. At least, until they are revived in another 30. Similar to broadloom carpet shapes, homeowners are using carpet tiles to create shapes and designs through the layout of their tiles. 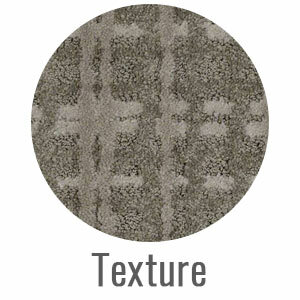 This is especially popular in businesses but is sneaking into home carpet design trends, as well. In 2019, you’ll see a lot of mixing and matching colors and patterns to provide unique, one-of-a-kind looks. 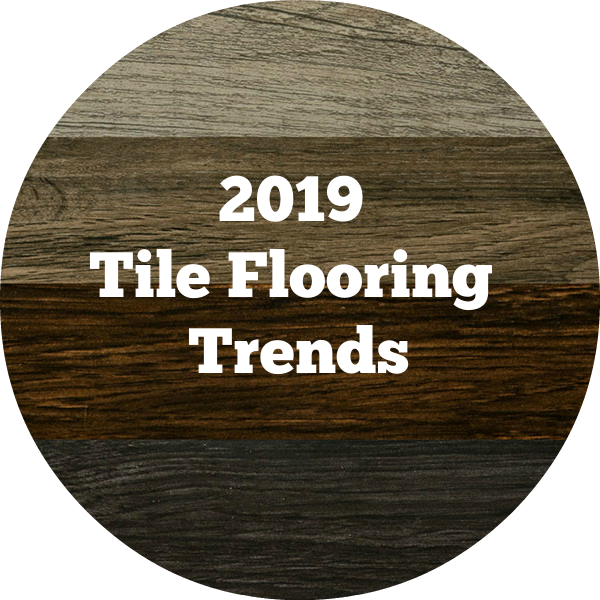 Will the carpet tile pattern trend last in 2020 and beyond? The idea of layering, combining and mashing up looks and patterns is trending across all avenues. Fashion, makeup, you name it. Minimalism is out and complementing layers, looks and patterns are in! What does that mean for floors? Well, young homeowners are adding multiple area rugs specifically layered to achieve their desired look. Usually, these are bright, bold patterns. It’s one of those things that can quickly go south if you don’t have the eye for design. You know those episodes of “Project Runaway” where they have to make their own pattern? And then usually they have to mix it with another pattern? That’s kinda how this layered rug trend works. 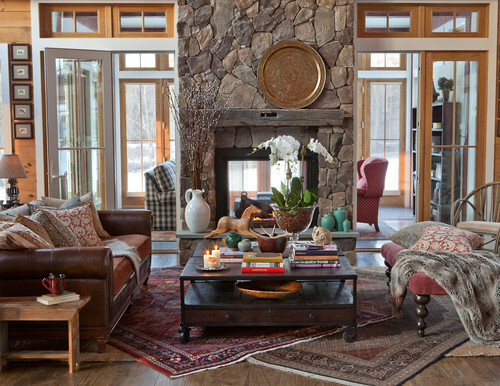 The downside is by layering your rugs, you are left with a lot of uneven spots where the carpets don’t overlap. It looks super cool, but, personally, I don’t think it functions very well in practice. Will the layered area rugs trend last in 2020 and beyond? I think this is something you will see in more magazines than homes. It will be one of those things people think looks beautiful for years, but I don’t see it taking off. It’s just not super practical. Also, do you really want to spend a bunch of money for an area rug to only actually see 1-2 feet of it? I know I don’t. The bedroom is probably the most popular room in the home to use wall-to-wall carpeting. I mean, it’s supposed to be your comfy, cozy oasis. While other rooms in the home are often designed with company in mind, your bedroom is the place that is, typically, just for you. 2019 bedroom carpet ideas will be simple. While many other rooms in the home tout flashy patterns and colors, bedrooms will be much more relaxed. The latest carpet trends for bedrooms include many of the trends mentioned above. 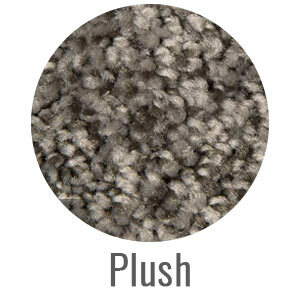 You’ll see mostly plush carpets along with an influx of environmentally responsible carpeting. Popular carpet colors for bedrooms include the grays and cool blues mentioned above. You’ll see less bright bolds and more cool and calming colors. For family movie nights, a cozy place to cuddle up and all-around carpet, the soft, soothing feeling of a carpeted living room is unmatched by any other flooring option. Here, you can go one of two ways: you can go for the simple, understated gray living room carpet or you can get on board with the fun, bold patterns and colors. This is one of the main rooms people will see so many young homeowners are choosing to go a little crazy, have a little fun. In 2019, living rooms will see lots of the layered area rug trend along with waterproof carpet, gray carpet and carpet patterns. For a long time, carpet was off-limits in basements. I mean, we all know basements are prone to floods and water damage and carpet is….well, not super awesome in that type of environment. That all changed with the surge of carpet tiles. Not only are there lots of options for waterproof carpet tiles, but they are also the easiest floor to replace. If one carpet tile gets damaged, you can just remove it and replace with a sparkly new one. Perfect for the high-maintenance basement. 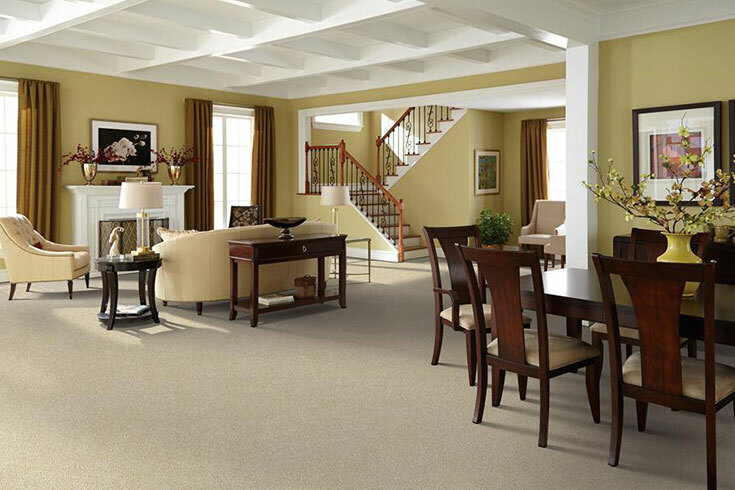 Now, with the addition of waterproof broadloom carpeting, you will see a surge in plush, luxurious carpet back in basements across the country. The days of ugly, worn beige carpeted stairs are behind us. Although most people think hard surfaces for trendy stairs these days, designer carpet runners are jumping back into the limelight. 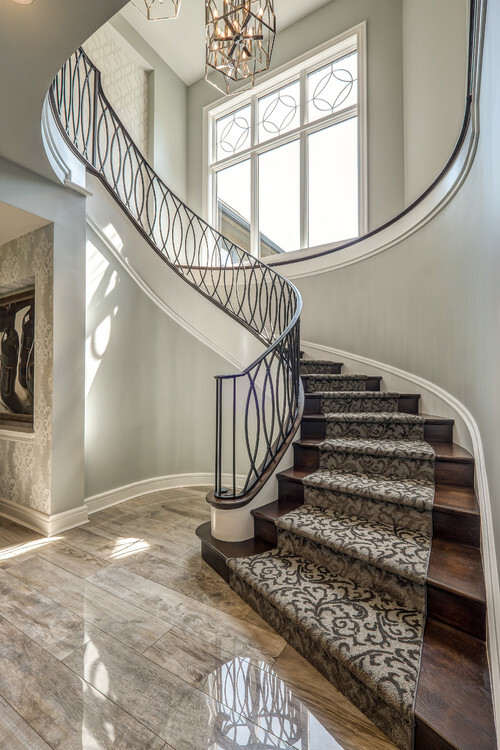 The latest carpet trends for stairs include intricately designed carpets and carpet runners. If there’s any place to let the details shine, it’s your stairs! Adding a high-end carpet runner to your stairs keeps them cozy while elevating your interior design. Win, win. One of my favorite staircase carpet ideas is the black and white trellis patterns. It matches with everything and looks super classy with just about any decor. However, you’ll definitely see all kinds of colors and patterns over the next decade and possibly longer. If you want something hot that will last for the long haul, we recommend going soft, plush and gray. Even better if it’s waterproof! thanks for the article- this certainly helped us choose a style and color for our new living room carpet. and love the writing style so kudos to this author! Thanks so much, Tracy! Glad to hear it helped you choose your carpet! They’re super in right now, but will be more expensive than traditional area rugs. Thanks for this lovely guide of trending carpets in the market. Your sense of interior is just WOW. Can you please suggest me something. Recently I’ve shifted to my new house. I’m very much confused about my living room rug. The walls are decorated with a pop of bright colors and the white colored couch is placed at the one corner of my room. Please suggest me the best rug which can go with my living room. Thanks for the great article about different types of carpet trends for 2018. I really loved the section on waterproof carpeting. I have pets and kids and waterproof carpeting sounds like it would be a real lifesaver. I also really loved your suggestion to use this kind of carpet in the bathroom and not have to step on cold tiles anymore when you get out of the shower. Glad you enjoyed it, Rachel! So glad to see articles about carpeting – laminate floors are not for everyone, and you can’t beat the feeling of a soft, plush carpet. Thanks for the detailed information! Really nice article on the latest carpet trends. Being in the carpet installation industry I love to keep track of the things new in the market. This article helped me a lot. Thank you and keep up the great work. Your ideas help me a lot, and your tips provide me some extraordinary things which can design me great home flooring. and this, I can say is a stand out. This blog of yours is unique for me and besides, I have learned so much from this. I hope I could read more of your blogs in the future. Thank you! Try our carpet washing services Visit our site for more details about our services. Thanks for pointing out that a lot of modern carpets use textures to create patterns and designs. My husband and I are thinking about having new carpet installed in our home soon, so I’ve been looking online to try and find design ideas. I love the idea of a textured pattern, so that’s something I’ll definitely be looking into more! Great to hear, Daphne! Please let us know if we can help you with your project! You have made my stay here reading your article a worth while one. I’ve enjoyed it a lot and at the same time I’ve learned so much from it. Thank you! I am looking forward for more blogs from you. I see so much potential to you and your site. To help you with your duties at home try our carpet cleaning Thank you! and have a nice day! Thanks for the blog. We are planning to start our new office space. Your blog can guide me in the right direction. I can appreciate the recommendations for people who are planning a new home or doing an extensive renovation, BUT for those of us who a replacing flooring in a single room and not redoing every other surface to coordinate, the color pallet is more limited. Personally, I prefer a well-designed home with “old” colors to a trendy new color that throws everything else off! That’s a great suggestion, Karen, thank you! 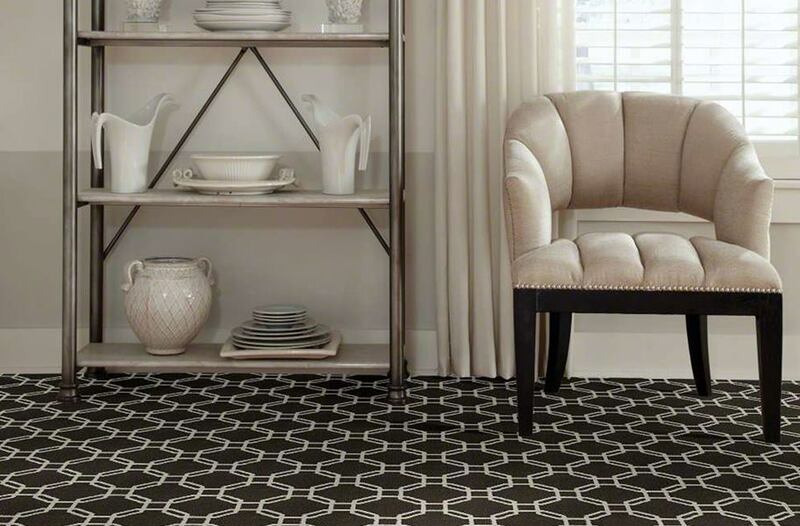 Shaw's Defined Beauty carpeting adds a dramatic and geometric effect to any space in need of some styling. Part of the Life Happens collection, this unique and beautiful carpet is 100% waterproof and worry proof. Made in the USA, this durable floor is the perfect addition for any space. 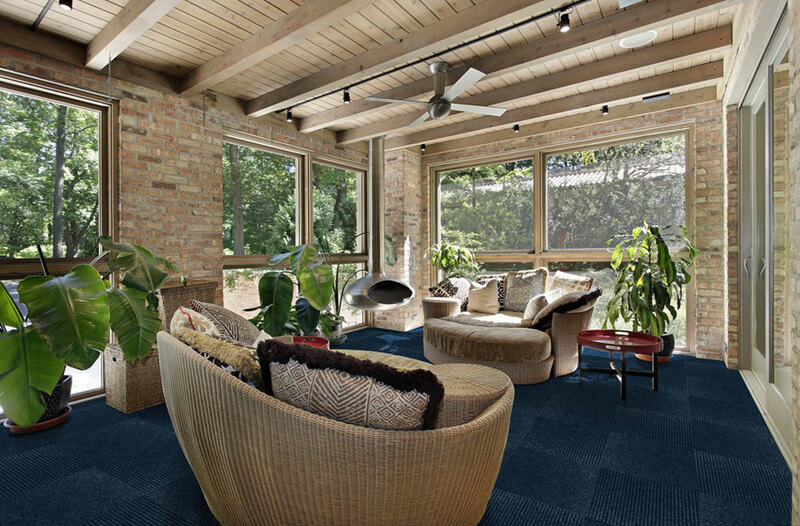 Our Hobnail carpet tiles come in several different colors and are very easy to install and maintain. 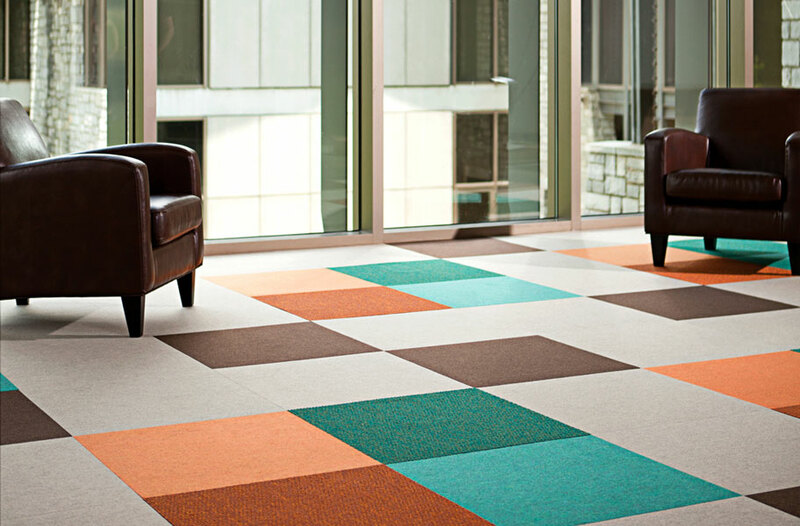 These carpet tile squares feature a self-adhering back, which means no need for messy adhesive or tape. These floor tiles have also been formulated to be mold and mildew resistant and have been designed to resist stains. Catalina collection area rugs are made from durable polypropylene to ensure strength, an easy maintenance and an easy to clean rug. 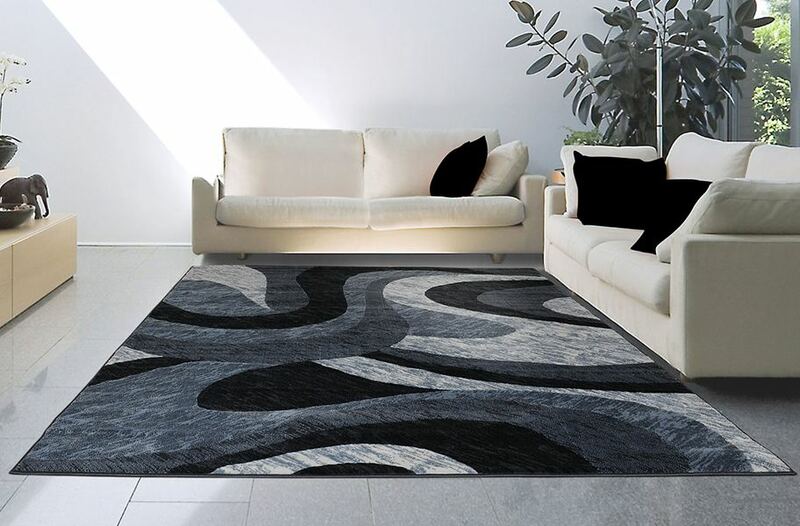 Grey Swirls area rugs showcase a unique and attractive abstract swirl design that provides a touch of art to any space. Our Hobnail Carpet is the perfect flooring option for any spare room or basement where a durable, cost effective floor is desired. 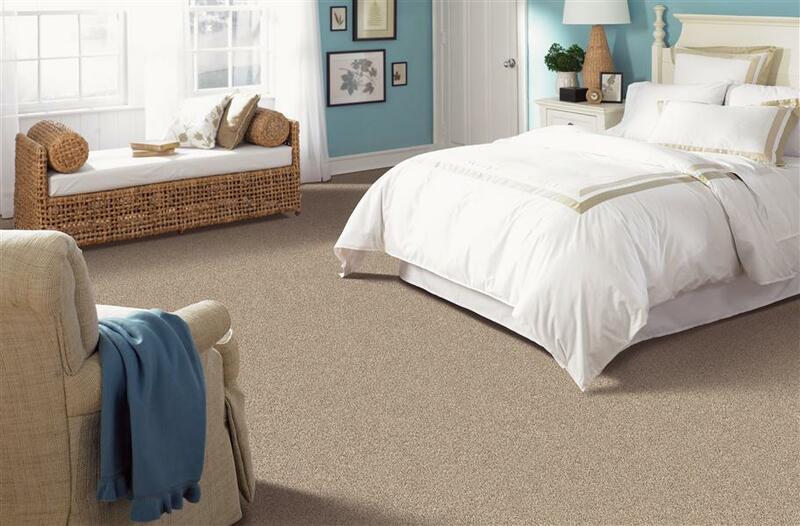 Easy to install and maintain, this broadloom carpeting is great for any room in your home or business. 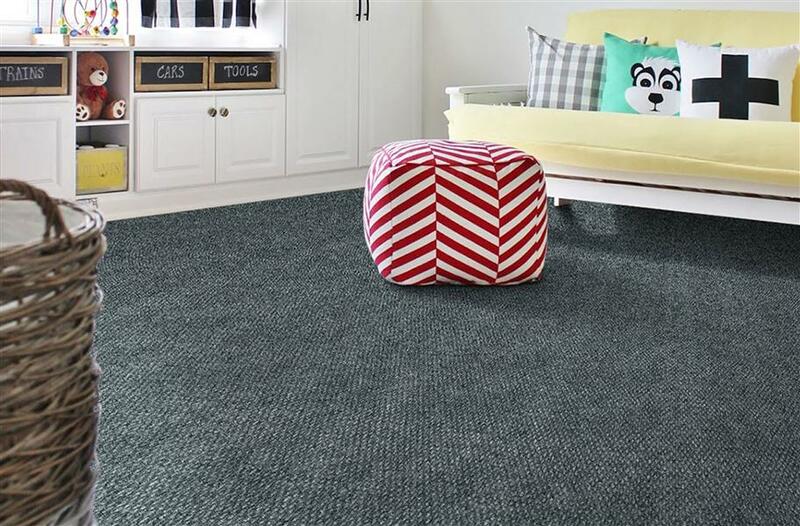 Mohawk Subtle Touch carpet may be named as such, but there is nothing subtle about the comfort and durability this carpet will bring to your home. 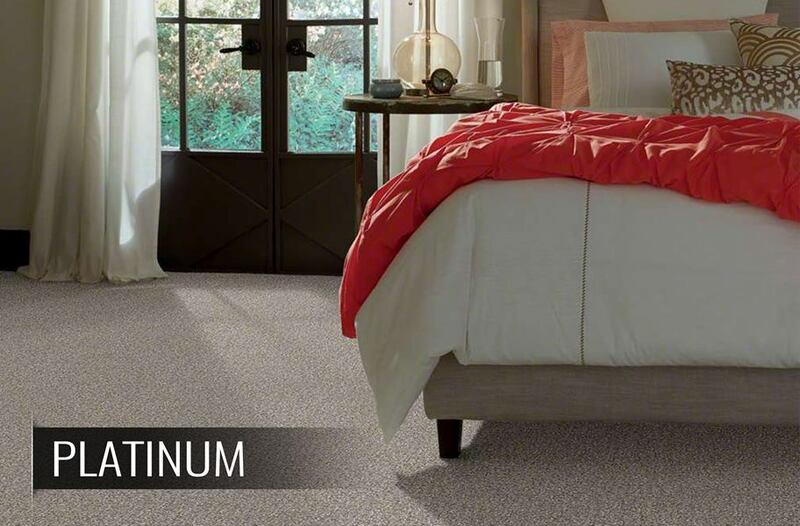 Plush and resilient, this carpet is the perfect flooring option for any room in your home.